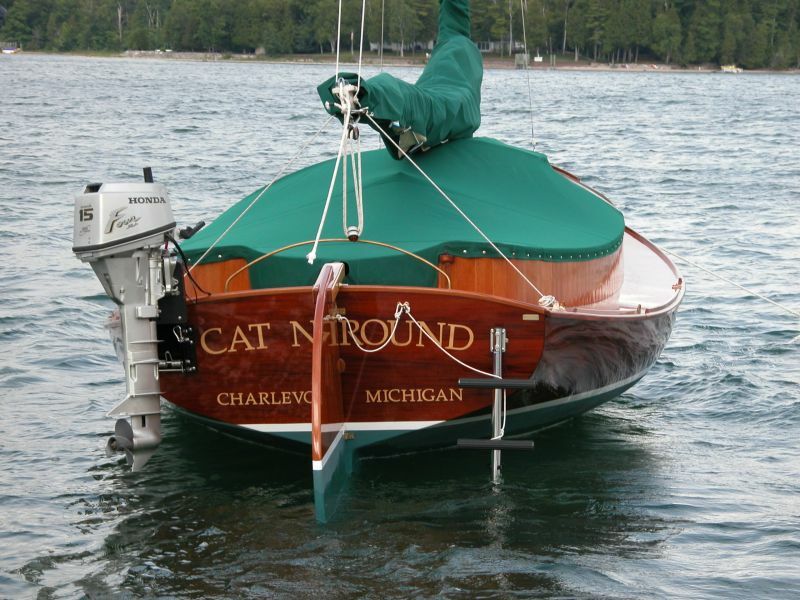 "CAT N ROUND" is a BEAUTIUL, PROFESSIONAL REPLICA built by Whistling Moose Studios. 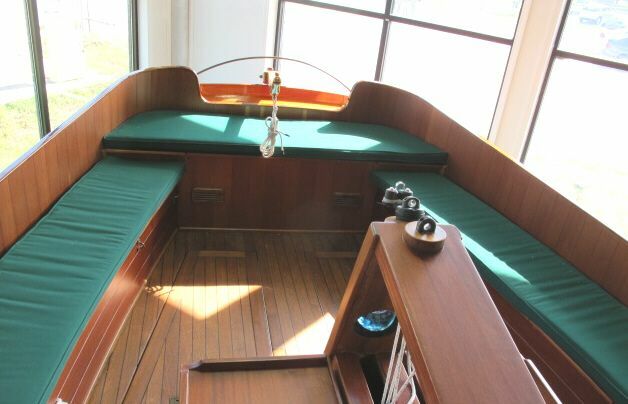 Her designer, H. Manley Crosby, was one of many of the GREAT CATBOAT DESIGNER/ BUILDERS from the Crosby family of Osterville, Mass. 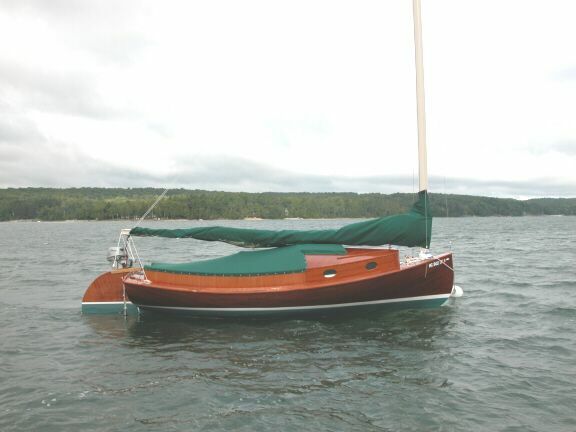 To say that you own a CROSBY CATBOAT, even a replica, is a FEATHER IN YOUR CAP!!! 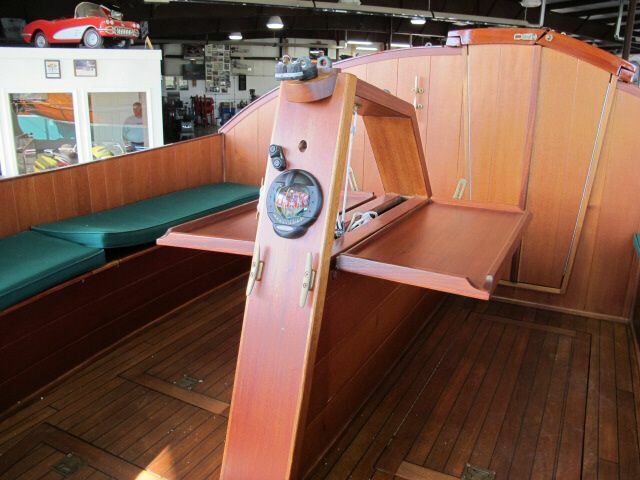 "CAT N ROUND" is a :PARTY CAT, w/ a big cockpit & a very nice cuddy cabin. 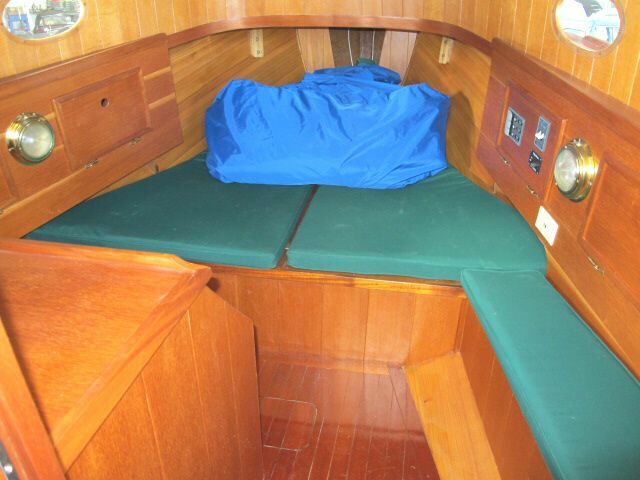 The cabin has a nice sized V-Berth & standing headroom, unheard of in a 24' catboat! 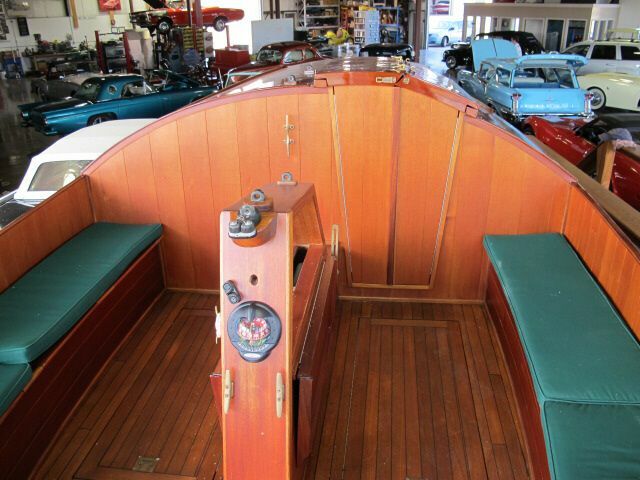 !, She is cold molded w/ an outer layer of mahogany. 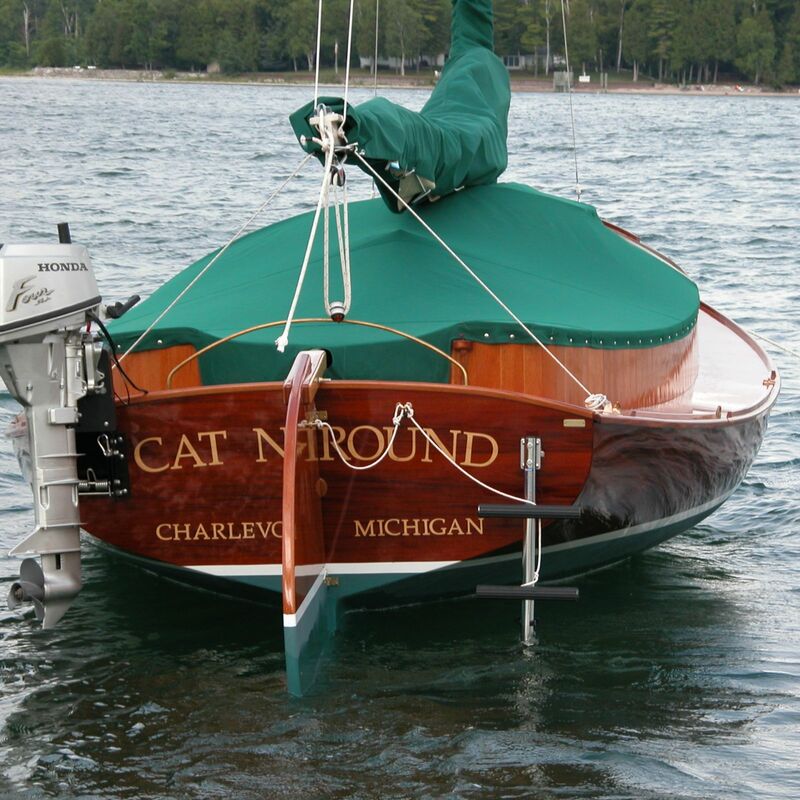 "CAT N ROUND" has only been sailed in fresh water & is in PRACTICALLY NEW CONDITION! !